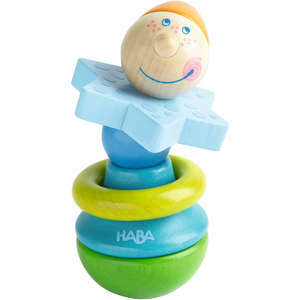 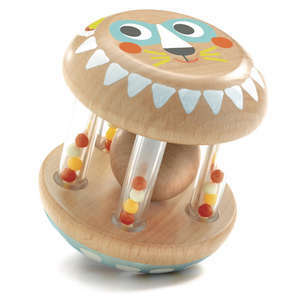 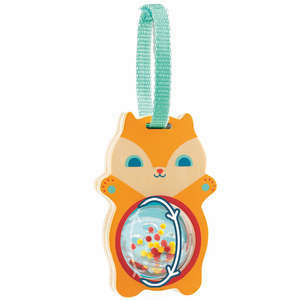 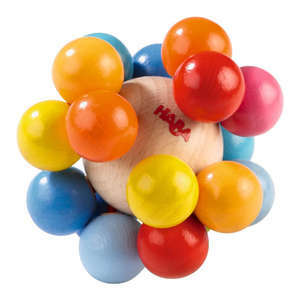 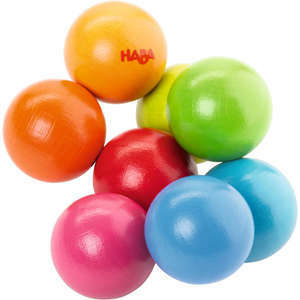 Haba's Rainbow is an unusual high quality wooden clutching toy and teething ring for babies. 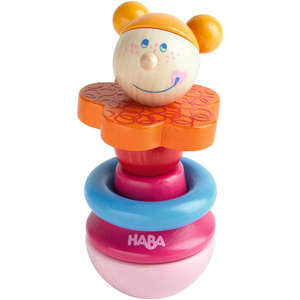 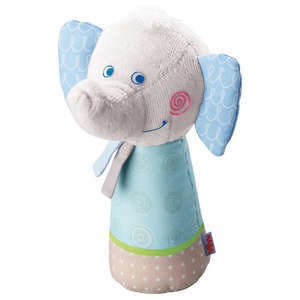 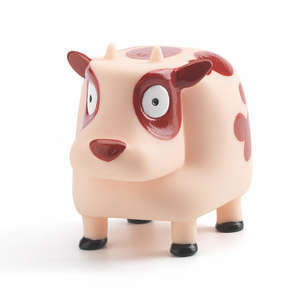 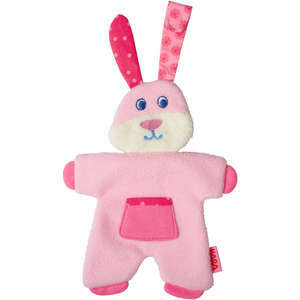 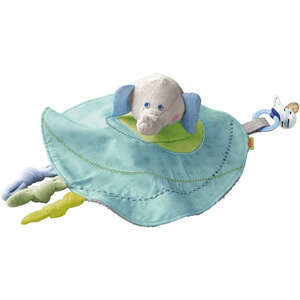 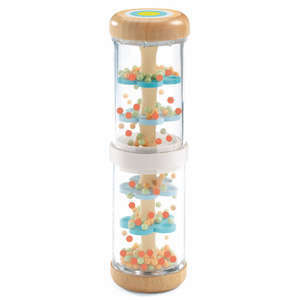 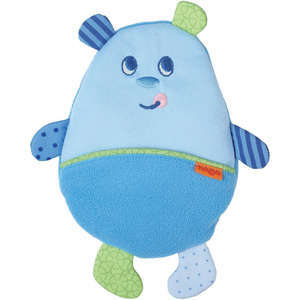 Like all Haba toys, Rainbow provides your baby with plenty of stimulation. 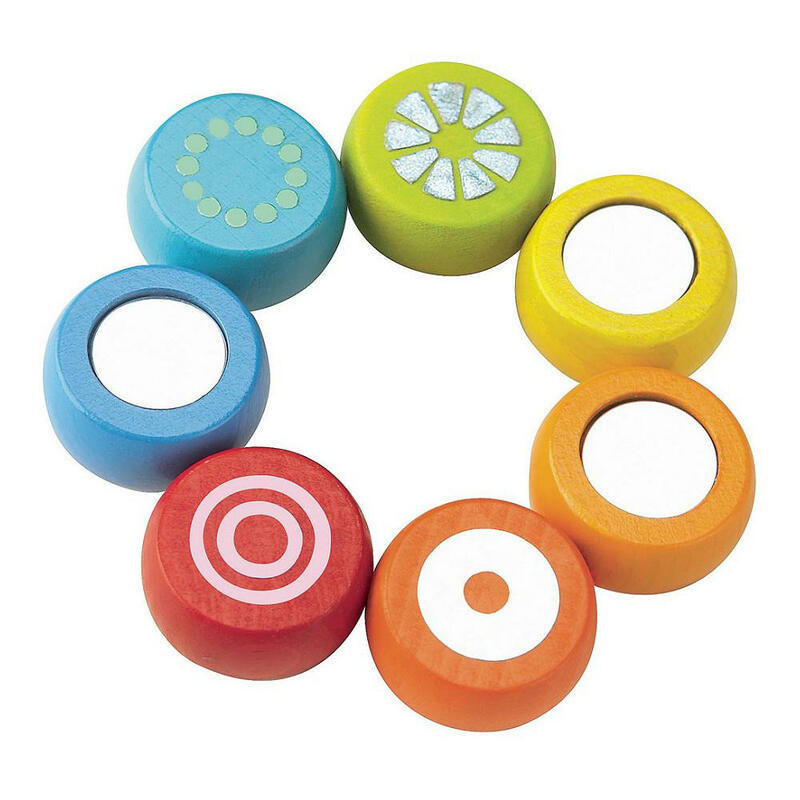 Each of the 7 pieces is made from beech wood, rounded and perfectly smooth on the back and flat at the front. 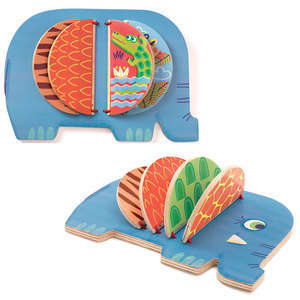 Each part of the rainbow can be twisted round and features either a mirror effect or attractive foil effect. 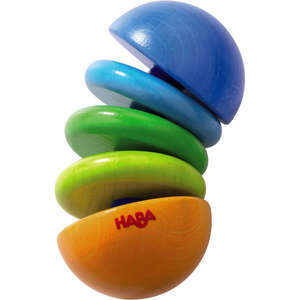 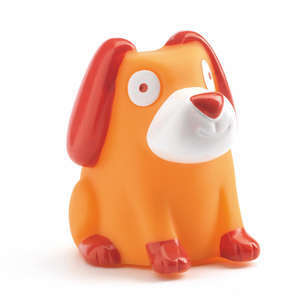 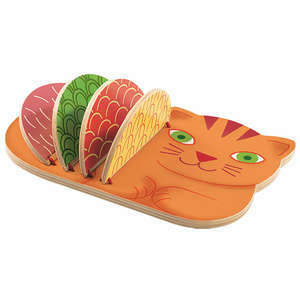 The vibrant colours and finishes used are totally harmless so the toy is perfect for teething babies. 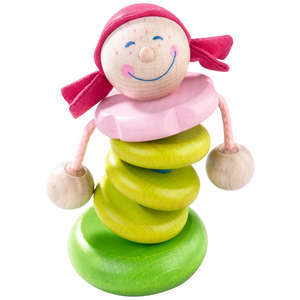 Made from beech wood, and finished with non toxic water based colours and varnishes.